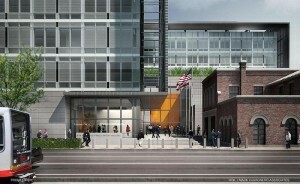 SFPW constructed a public safety building at a site within the Mission Bay area in San Francisco, California for San Francisco Police Department. The site is approximately 66,000 square feet and a six-story building including a basement. 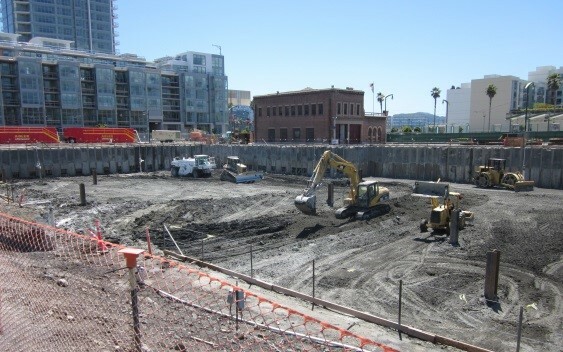 Earthwork activities for the site primarily included surface grading, pile cap construction, utility trench excavation, and basement construction. The Site is located within the Mission Bay Redevelopment Area that is subject to the SFDPH Article 22A compliance. As included in the Environmental Work Plan, soil gas samples would be collected for methane analyses at the site during the soil sampling work. At the time of the planned investigation around December 2009, significant rainy and wet weather was encountered to prohibit reliable sampling of soil gas in subsurface environment. During that time, SFPW requested sufficient chemical information at the site as soon as possible in order to develop an understanding of the approximate extent of hazardous waste, if present, at the site and the associated management costs. AEW discussed with SFDPH an approach to perform soil and groundwater sampling and the soil gas sampling separately to meet the SFPW needs. This approach involved a modification to the Work Plan which had originally proposed all sampling activities to be completed in one sampling event. SFDPH concurred over the phone on the proposed modification of the field sampling protocols and indicated that it was a very effective approach to resolve such challenges. Because results of the airborne NOA readings indicated potential sources from up-gradient locations, on behalf of SFPW, AEW worked with BAAQMD to obtain approval on amendment on the monitoring and results evaluation protocols to address the potential up-gradient impact resulting in shutdown of construction activities at the site. Because of the tight time schedule on construction, the adoption of the amendment was time-critical to avoid significant impact to the construction. Prior to submittal the amendment with BAAQMD for approval, AEW project manager met with representatives from BAAQMD to present the rationale and the proposed modifications of the air monitoring protocols. During the meeting, BAAQMD's representatives provided additional suggestions on the modifications. The real-time interaction on developing the amendment with BAAQMD resulted in the approval of the amendment within a few business days.